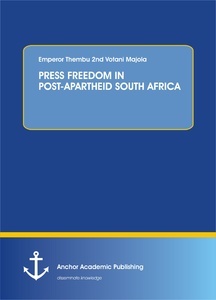 During the era of apartheid in South Africa, press was severely curtailed and subject to repressive laws. The dawn of democracy liberated the press in more ways than one. The purpose of this study is to examine to what extent, in practice, a free press in South Africa is able to report freely without hindrances. Several challenges have been observed even during this era of democracy, most notably being the racism in the media, among many others. Several recommendations have been suggested in this study suggesting methods that could be used to address these challenges.